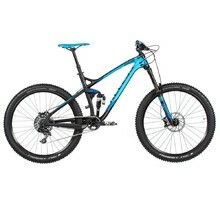 Full suspension bikes are a current bicycle market trend. 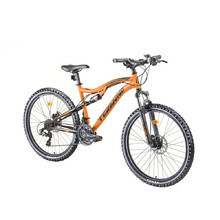 They are mostly used for the same purposes as mountain bikes, but riding through terrain on a suspension bike is more comfortable. 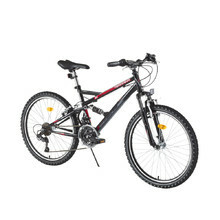 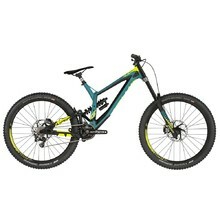 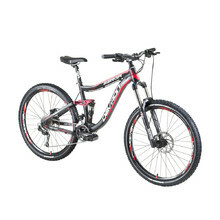 If you enjoy riding through extreme terrain, a full suspension bike is an ideal choice for you. 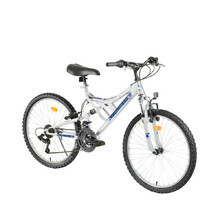 We offer bike models from certified brands, such as GALAXY, DHS, 4EVER and KELLYS. 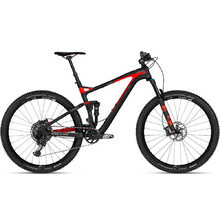 For selected models, we offer a prolonged 10-year warranty and post-warranty service at our Prague, Brno, Ostrava and Vítkov stores. Full suspension bikes have shock absorption on both front and rear wheel and can cushion impact on hard terrain. 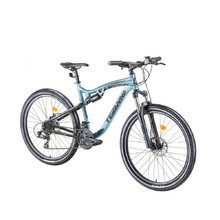 Full suspension bikes are suitable for marathon riding, fast downhill riding and also riding in difficult terrain conditions. Full carbon frame, top quality components, functional and attractive design.